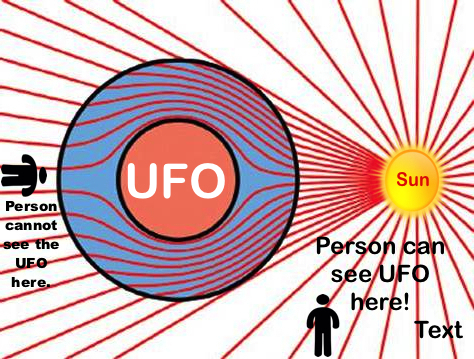 UFO SIGHTINGS DAILY: Giant Glowing Orbs Over Colorado In Morning On Dec 14, 2015, Photos, UFO Sighting News. 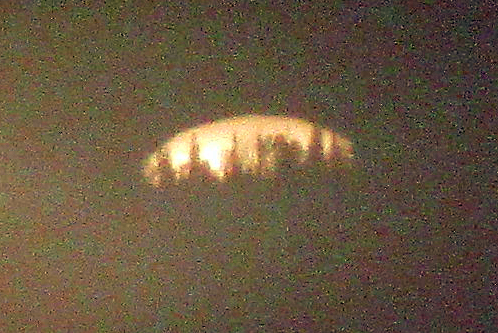 Giant Glowing Orbs Over Colorado In Morning On Dec 14, 2015, Photos, UFO Sighting News. What we are seeing here is a very large UFO rising out of the ground (underground base door opens up). 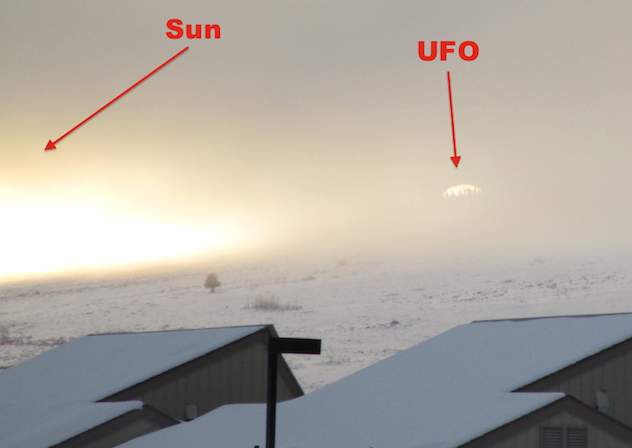 The UFO tries to leave while its misty in the area so it wont be seen, but the sunrise in early morning. Often called a second sun, the UFO is seen behind the trees on a distant hill. Sunrise and sunset can cause a cloaked ship to become visible for 10 seconds to 10 minutes depending on the angle and position of the spectators, craft and sun. Colorado is a hotbed for glowing white orbs activity, and this is the mother of all orbs. I went outside first thing this morning. After sitting outside for a few minutes, I looked West at the fog covering the hillside. Then, there was a bright, almost blinding light that made my eyes tear up; I mean tears rolling down my face. The object did not move. 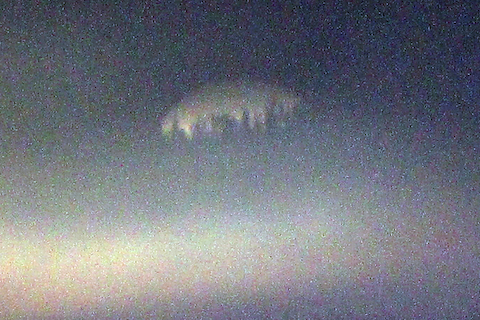 It appeared to be in front of the heavy fog. It appeared to be above the hill and slightly in front of the hill. After snapping a few pictures, it appeared to dim. It had a translucence to it. I looked down at my camera to make sure I had gotten the shot, looked up, and it was gone. After having examined the pictures I took, the pictures effectively portray exactly how the object looked to my eyes. The top of the object is completely dome shaped. The bottom is jagged as if there were trees in front of the object. Behind that hill, there is a cluster of trees that could have caused this effect, but it would mean that there was an object behind the trees, bright enough to cut through the heavy, morning fog. In the pictures, the Sun is clearly visible to the left of the object. The light that the object emitted looked to be the same or similar to the sun, but it could not have been a reflection because the sun was behind and to the left of the object. It also does not and did not, appear to be a break in the fog. It was clearly in front of the heavy fog. I've lived high up in the Rocky Mountains for quite some time now, and I have seen my fair share of weird "light tricks" caused by ice particles in the atmosphere -- I've never seen anything quite like this. If there is a scientific explanation for this, I would love to hear it...although the author in me wants to think it was a glitch in a cloaking device, (har, har). I've included the original unaltered images as well as copies of the same images that I inverted. Thank you!